This shirt has a real kick! 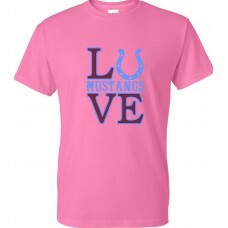 A horseshoe replaces the U in "LUVE" as you announce your love for the M..
Are you in the "'Stang Gang"? 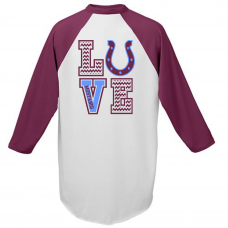 Then you'll love this shirt! Augusta Sportswear Style 420 baseball jer..
Other people just don't get it . . . it's a "'Stang Thang"! This great jersey shows your Mustang Pri.. 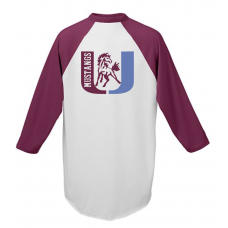 This classic baseball jersey features the proud Unity Mustang in a maroon-and-blue U! Augusta Sports.. This shirt has a real kick! 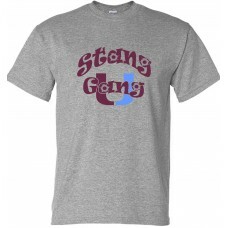 A horseshoe replaces the U in "LUVE" as you announce your love for the..
Are you in the "'Stang Gang"? 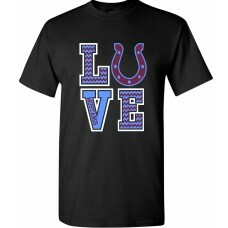 Then you'll love this shirt! Available in youth and adult sizes. Front..
Other people just don't get it . . . it's a "'Stang Thang"! 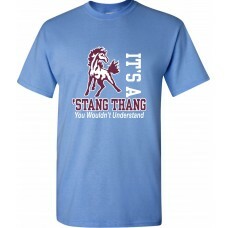 This great T-Shirt shows your Mustang Pr.. 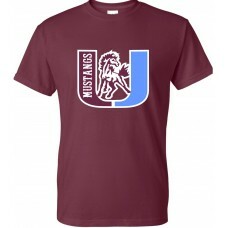 These attractive T-shirts feature the proud Unity Mustang in a maroon-and-blue U! Available in youth..